Does Your Executive Resume Pass the “Relevance” Test? Applying to each and every executive job that catches your eye? You’re probably experiencing frustration, burnout, and disappointment in your job search… and wondering if employers are even reading your resume! Your leadership resume isn’t passing muster with employers because it doesn’t seem relevant to their needs. Think about it: you may believe you’re the perfect candidate, but employers undertake a needle-in-a-haystack effort to find and qualify you. Most executive jobs require a recruiter search, manual review of dozens to hundreds of resumes, or even an Applicant Tracking Systems (ATS) scan – looking for a match on skills, previous job titles that closely align with the job description, and/or industry experience. So, how can you make YOUR executive resume more relevant? 1 – Pull in related job titles or industry experience. Employers want to know how recent experience or career progression qualifies you for the job you’re seeking – so make it easy for them to spot this information in your leadership resume. This sample COO resume shows a candidate who’d worked in both consulting and permanent roles, yet had a wide suite of commercial real estate industry expertise that qualified him to step in at an executive level. Here, the scope of past projects made it easier for employers to see his experience in the right light. Pursuing an IT executive role? Make it obvious that you’ve progressed through technology leadership positions (even adding a first-page career history summary, as shown in this example of an IT Director resume). As shown in both these sample executive resumes, you can insert headlines and skill-specific information to help recruiters quickly realize you’re the perfect candidate. 2 – Research and add keywords. Rather than being fearful of keywords and what they represent, give yourself a quick-study course by reading at least 10 job descriptions for the same type of job. After creating a list of required skills and competencies culled from these jobs, make a list for comparison against your resume. Of course, you should weave these keywords throughout the document, assuming you’ve already mastered them. However, if your leadership background doesn’t match at least 75% of the common terms you’re finding in these job descriptions, your resume might fail the relevance test… telling you it’s time to look at a different role. 3 – Think like an executive recruiter. Put yourself in the hiring manager’s or recruiter’s place for a moment, trying to use their perspective on related expertise and industry acumen. Next, chop anything unrelated to your goal from your resume, especially where this data appears in your summary or keywords. After all, if it isn’t related to the job posting, why clutter your presentation with it? You’ll also want to put desirable information front and center. As in this example of a CMO resume, you can pull the most relevant accomplishments into a summary near the top of your document – ensuring they’ll be read and understood. In summary, the reason you might not be getting the calls you want is that your executive resume lacks relevance to the job. 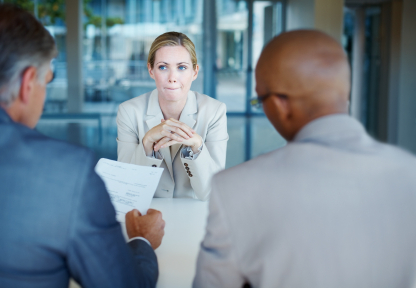 For better results, tie your experience directly to the role advertised, with additional research to ensure you’re on target as a viable candidate.